TLS 1.3 won unanimous approval (well, one „no objection“ amid the yeses), paving the way for its widespread implementation and use in software and products from Oracle’s Java to Google’s Chrome browser. An effort to effectively insert a backdoor into the protocol was met with disdain and some anger by internet engineers, many of whom pointed out that it will still be possible to introduce middleware to monitor and analyze internal network traffic. The backdoor proposal did not move forward, meaning the internet as a whole will become more secure and faster, while banks and similar outfits will have to do a little extra work to accommodate and inspect TLS 1.3 connections as required. At the heart of the change – and the complaints – are two key elements: forward secrecy, and ephemeral encryption keys. TLS – standing for Transport Layer Security – basically works by creating a secure connection between a client and a server – your laptop, for example, and a company’s website. All this is done before any real information is shared – like credit card details or personal information. Together they use this exchange to create two new keys: a master key and a session key – the master key being stronger; the session key weaker. As well as being faster, TLS 1.3 is much more secure because it ditches many of the older encryption algorithms that TLS 1.2 supports that over the years people have managed to find holes in. Effectively the older crypto-systems potentially allowed miscreants to figure out what previous keys had been used (called „non-forward secrecy“) and so decrypt previous conversations. For example, snoopers could, under TLS 1.2, force the exchange to use older and weaker encryption algorithms that they knew how to crack. People using TLS 1.3 will only be able to use more recent systems that are much harder to crack – at least for now. 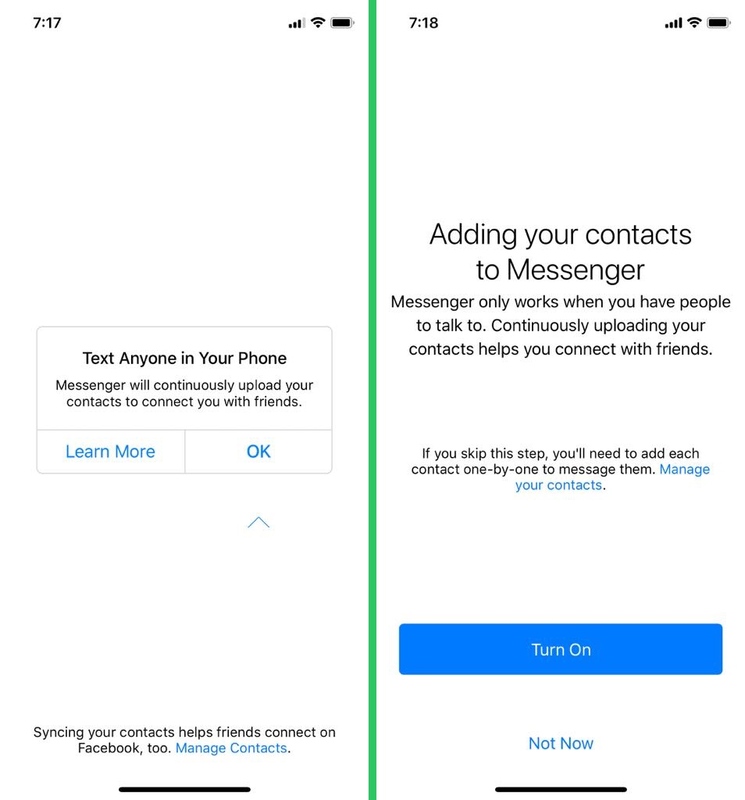 Any effort to force the conversation to use a weaker 1.2 system will be detected and flagged as a problem. Another very important advantage to TLS 1.3 – but also one that some security experts are concerned about – is called „0-RTT Resumption“ which effectively allows the client and server to remember if they have spoken before, and so forego all the checks, using previous keys to start talking immediately. That will make connections much faster but the concern of course is that someone malicious could get hold of the „0-RTT Resumption“ information and pose as one of the parties. Although internet engineers are less concerned about this security risk – which would require getting access to a machine – than the TLS 1.2 system that allowed people to hijack and listen into a conversation. In short, it’s a win-win but will require people to put in some effort to make it all work properly. It has been over eight years since the last encryption protocol update, but the new TLS 1.3 has now been finalized as of March 21st, 2018. The exciting part for the WordPress community and customers here at Kinsta is that TLS 1.3 includes a lot of security and performance improvements. With the HTTP/2 protocol update in late 2015, and now TLS 1.3 in 2018, encrypted connections are now more secure and faster than ever. Read more below about the changes coming with TLS 1.3 and how it can benefit you as a WordPress site owner. TLS stands for Transport Layer Security and is the successor to SSL (Secure Sockets Layer). However, both these terms are commonly thrown around a lot online and you might see them both referred to as simply SSL. 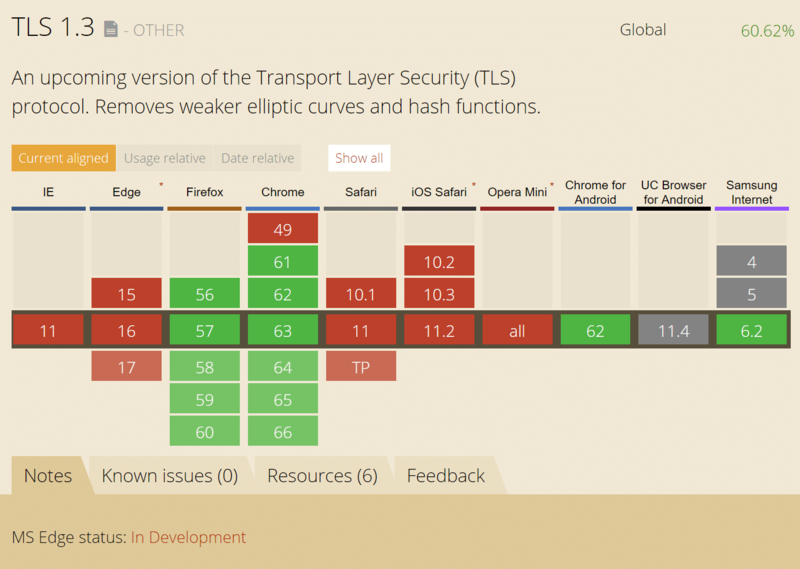 TLS provides secure communication between web browsers and servers. The connection itself is secure because symmetric cryptography is used to encrypt the data transmitted. The keys are uniquely generated for each connection and are based on a shared secret negotiated at the beginning of the session, also known as a TLS handshake. Many IP-based protocols, such as HTTPS, SMTP, POP3, FTP support TLS to encrypt data. Web browsers utilize an SSL certificate which allows them to recognize that it belongs to a digitally signed certificate authority. Technically these are also known as TLS certificates, but most SSL providers stick with the term “SSL certificates” as this is generally more well known. SSL/TLS certificates provide the magic behind what many people simply know as the HTTPS that they see in their browser’s address bar. The Internet Engineering Task Force (IETF) is the group that has been in charge of defining the TLS protocol, which has gone through many various iterations. The previous version of TLS, TLS 1.2, was defined in RFC 5246 and has been in use for the past eight years by the majority of all web browsers. As of March 21st, 2018, TLS 1.3 has now been finalized, after going through 28 drafts. Companies such as Cloudflare are already making TLS 1.3 available to their customers. Filippo Valsorda had a great talk (see presentation below) on the differences between TLS 1.2 and TLS 1.3. In short, the major benefits of TLS 1.3 vs that of TLS 1.2 is faster speeds and improved security. TLS and encrypted connections have always added a slight overhead when it comes to web performance. HTTP/2 definitely helped with this problem, but TLS 1.3 helps speed up encrypted connections even more with features such as TLS false start and Zero Round Trip Time (0-RTT). 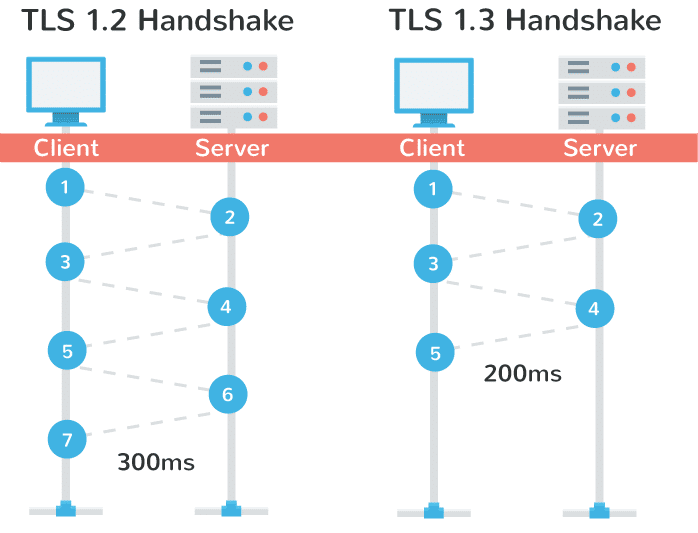 To put it simply, with TLS 1.2, two round-trips have been needed to complete the TLS handshake. With 1.3, it requires only one round-trip, which in turn cuts the encryption latency in half. This helps those encrypted connections feel just a little bit snappier than before. Another advantage of is that in a sense, it remembers! On sites you have previously visited, you can now send data on the first message to the server. This is called a “zero round trip.” (0-RTT). And yes, this also results in improved load time times. I am excited for the upcoming standard. I think we will see far fewer vulnerabilities and we will be able to trust TLS far more than we have in the past. Google is also raising the bar, as they have started warning users in search console that they are moving to TLS version 1.2, as TLS 1 is no longer that safe. They are giving a final deadline of March 2018. With Chrome 63, TLS 1.3 is enabled for outgoing connections. Support for TLS 1.3 was added back in Chrome 56 and is also supported by Chrome for Android. TLS 1.3 is enabled by default in Firefox 52 and above (including Quantum). They are retaining an insecure fallback to TLS 1.2 until they know more about server tolerance and the 1.3 handshake. With that being said some SSL test services on the Internet don’t support TLS 1.3 yet and neither do other browsers such as IE, Microsoft Edge, Opera, or Safari. It will be a couple more months while the protocol is being finalized and for browsers to catch up. Most of the remaining ones are in development at the moment. Cloudflare has an excellent article on why TLS 1.3 isn’t in browsers yet. Just like with HTTP/2, TLS 1.3 is another exciting protocol update that we can expect to benefit from for years to come. Not only will encrypted (HTTPS) connections become faster, but they will also be more secure. Here’s to moving the web forward! Dieser Eintrag wurde veröffentlicht in Privacy und getaggt mit Internet Security, TLS, TLS 1.3 am 30. März 2018 von innovation.